In the northeast of Costa Rica, you will encounter the most traditional face of the country, Where the Sabaneros, local cowboys, still , practice rodeo. The Rincon de La Vieja National Park is also found in the area, an active volcano surrounded by rainforest which is home to toucans, parrots and the stunning Resplendent Quetzal. The park is also home to a vast array of orchids. 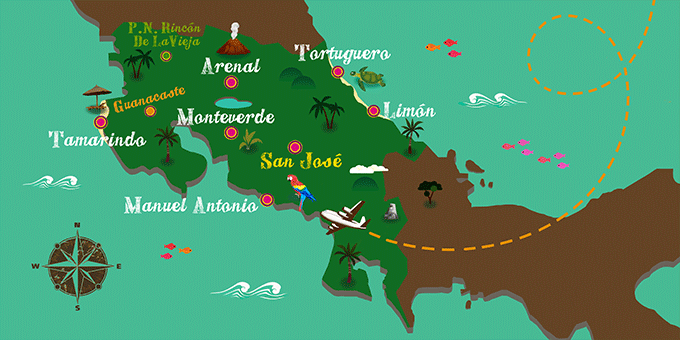 If Guanacaste has caught your attention, leave us your number so we can call you to discuss the voyage that awaits you.